I love a good success story. Who doesn’t? There are so many stories about people who make money blogging that I thought I’d give some perspective. As you know, I read a lot of different blogs and one of the themes that comes about with blogging, especially here in the personal finance niche, is how people are able to turn their blogs into businesses, often with the ability to leave their day jobs and concentrate full time on blogging. One blogger left her job, started making a few thousand a month, and last month reported income of over $78,000 just from her blog! People are able to freelance and write articles and promote their own blog and write for others to the tune of thousands of dollars per month. It sounds wonderful, and it sure has a lot of allure. I’m sure many have gone through the following thoughts. Holy cow, those are huge amounts of money! Working from home? I could do that! I already have the high speed internet and the MacBook. Writing blog posts about money? No problem, I do that already! Let’s get going! I should start typing up that resignation letter to my boss…. Now, I’m here to tell you to think about holding off, especially on that last item. Am I here to be a Debbie Downer? No. But, what I’m here to say is that it isn’t always that easy. See, what I think a lot of people tend to forget is that you’re reading about the ones who have made it. I mean, they’ve truly made it! To get a million dollars by turning over your blog or bring in on an average day what used to take weeks to earn, those kinds of things are great, but they’re not representative of everybody’s situation. I think many times, people often tend to skip by that little fact. But it’s not little. It’s really important. Because, while you dream of joining the group of people with that kind of success, what people often overlook is that it’s not guaranteed. In fact, the people that have the kind of success above are probably what many would consider the 1%. Sounds familiar, right? But in this case it means that for every one blogger that realizes that kind of success, I’d guess that there are 99 who haven’t. And that’s fine. There’s no shame in trying. I’m also going to say that if you’re reading this and you have that dream that you shouldn’t take it. Not at all. I just think that if you do so, you should make sure to look not just at the bloggers who have made it, but look at those who haven’t. You might have to dig a little deeper but I’m sure you can find information. See, while you’ll have no problem finding the person talking about bringing in $78,000 per month, you might not have someone all braggy about how they had great dreams of making it big but only managed to bring in $78 from their blog. Over three months. See, these people are going to be harder to find. They’re probably not going to write about that. In fact, they’re probably going to just….stop writing. When I did my check-in of over 1,100 blogs, the biggest chunk of blogs were those that had gone dark. Their authors had stopped writing. Now, I’m not saying that all of those people started their blog with the goal of quitting their job and bringing in tens of thousands of dollars per month, but I’m going to guess that some of them did. So, if you want to make it big, don’t just look at those who have made it big, but look at those who haven’t. Look at what they did and try to piece together what didn’t work. Learning those things is just as important as learning what did work for the success stories. Seeing both sides of the coin is really important, and having more information is only going to serve you well. Of course it wasn’t quite that simple. It never is. So, if you’ve got your path to success laid out, make sure you spend some time looking not just at the things that might get you there, but look at the things that might stand in your way. Success can be had, there’s no question about it, but assuming it will be easy is a sure path to missing out. Readers, do you ever look at success stories and get jealous? How do you reconcile success stories with the reality that not everybody has success? Please let me know your thoughts in the comments below. Failures are the pillars of success. Without it, being successful is not complete or fulfilling. So for those who are experiencing or have experienced failures, it is completely fine. 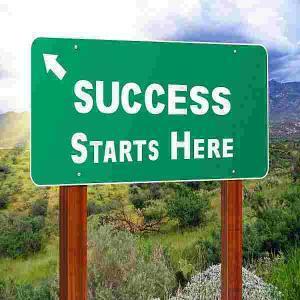 It’s part of life and I am for sure that you are on your way toward success. Exactly. My biggest thing when it comes to failure is to learn from it so that your next experience has better chances of success. Wow! You checked on 1100 blogsites? You’re a better man than I, Gunga Din!! I think when you consider the stories of people who claim to have made it big with enterprises like blogging or self-publishing, you have to bear in mind a few particular issues. For example, successful bloggers are usually pretty techie, and they know how to market on the Internet. If they don’t understand marketing, they hire people who do. Where self-published books are concerned (or professionally published books, for that matter), the job of marketing falls on the author. A real publishing house has a catalog and may post your book on its website; if you have a textbook, it has salesmen who canvass faculty and peddle various titles. But if you’re on your own, you have to sell it yourself — and that requires very different skills from a writer’s. In fact, you should hire a marketer with a proven track record before you post the thing online…possibly even before you finish writing it. These gems of enlightenment do indeed come from failing. If something doesn’t work, you learn WHY it doesn’t work. Next time you do it (or something vaguely like it), you have a better shot at success because you know what not to do…and maybe even some things that you need to do. When I was a young thing, I was devastated by a flop. Today I regard failures as waypoints along the road toward success. Yeah, I wrote about it a few months ago. I gathered a couple of the ‘PF Blog Rankings’ list and just went to 5-10 per day for a few months. I totally agree with what you said above. A lot of bloggers or those who want to start blogging and monetizing think that there is always success in blogging. When I mean success, I mean making money and a lot of money of it. The truth is, blogging is not always a ticket to making a lot of money. Because if it were, then, I would assume a lot more people would jump into such opportunity. I think making money in blogging is both a combination of luck, perseverance, dedication, discipline, and a lot of guts to stay blogging even when the future seems to be bleak. But of course, I always say that failure teaches us to be better at what we do. I say, take as much as you can when it comes to doing it and make something better out of it. Yes, very well said. Thanks! It’s so true. I’ve been blogging about as long as some of those big guys (Consumerism Commentary, Get Rich Slowly, Mighty Bargain Hunter) but I’d say that at least 60% of my readers/commenters over the years are cycling through, if they’re bloggers at all, they’re here for a couple years at best and disappear. It’s funny to see the meteoric rise of some (Michelle, as you mentioned) while others, like me, just trundle along in the trenches. I don’t know what the recipe to that is exactly but I know that part of it, from the feedback of my bigger-blogger friends, is treating the blog like a business and I’m not prepared to change my blog that drastically. Same here. I just write more for me than anything else. I don’t think I have the voice to write for the masses.